A leisurely start this morning. Stayed for brekko and chitchat with various people. This is a very friendly family-run place and the mother/grandmother, Ana (68) started walking today with her sister Pilar (70ish). 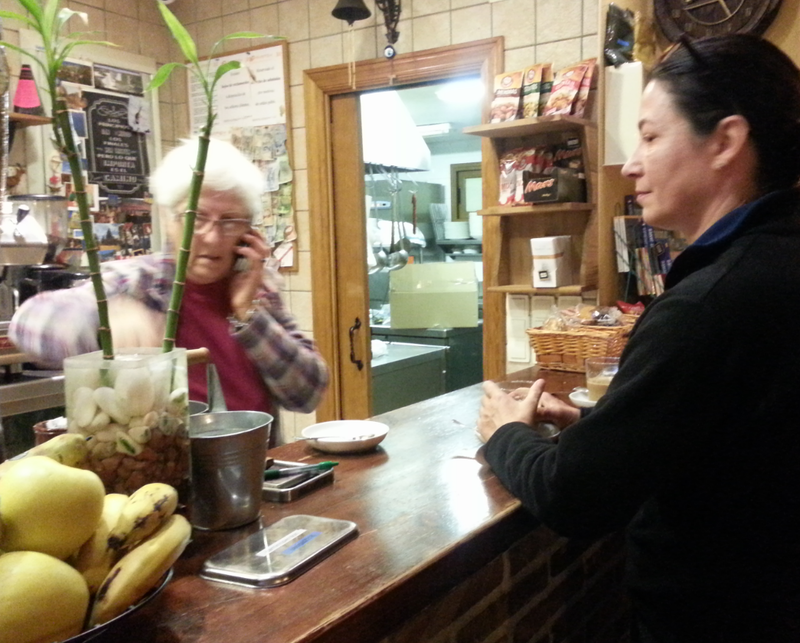 Here is Ana on the left, multitasking at 8:30 – serving breakfast and talking on the phone while her own backpack was waiting nearby. Here are Ana and Pilar setting out, leaving Noelia to manage the albergue. Today’s walk was uneventful. 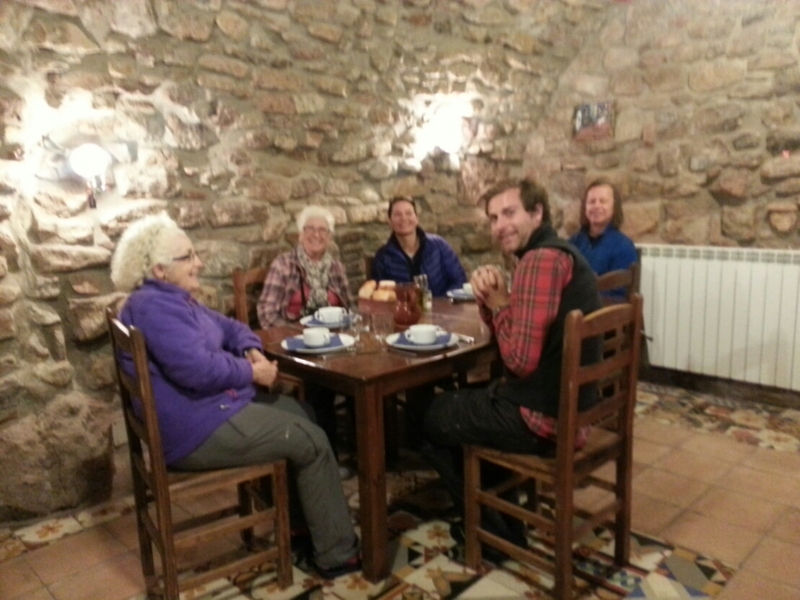 I decided that 7 km to the next village was more than I wanted, so I’m here in a nice place Albergue Maralotx, along with Ana, Pilar, New Yorkers J and T, and a few others. The bad news is that the church bells (50 m away) ring all night. October 20, 2015 in Camino 2015. Sounds like my night in Puenta la Reigna in an albergue between 3 different churches and none of their ‘clocks” were synchronized. Of course I’d picked a bed in the open window!! Albergue Maralotx looks lovely.